Our range of products include water cooled heat exchanger. 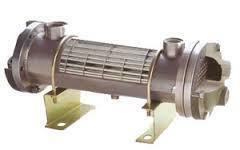 We are a leading manufacturer engaged in offering Water Cooled Heat Exchanger to our clients. Our offered exchangers are designed and developed with almost precision to meet the recent technical advancements in the market.